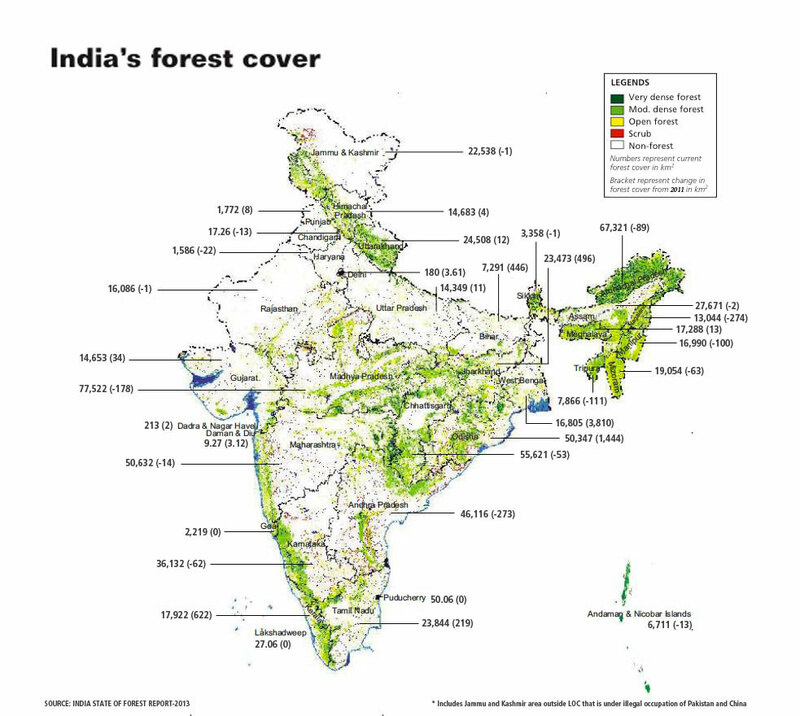 India’s green cover is increasing, but this increase is taking place mostly outside the traditional boundaries of the forests, says the latest forest survey findings. As per the State of Forests Report (SFR) 2013, released by the Union Ministry of Environment, Forests and Climate Change on July 8, the total forest cover in the country has increased by 5,871 square kilometre (sq km) between 2011 and 2013. The highest increase has been registered in West Bengal (3,810 sq km) and Odisha (1,444 sq km), followed by Bihar, Jharkhand and Tamil Nadu. Most of the north-eastern states and the states like Andhra Pradesh, Madhya Pradesh, Chhattisgarh and Karnataka have shown considerable decrease in forest cover. The Forest Survey of India (FSI) conducts a biennial survey of the country's forests and compiles SFR every two years. This is the 13th edition of SFR. As per the report, India now has 697,898 sq km of forest cover, which is over 21 per cent of the geographical area of the country. FSI counts all the land with more than 10 per cent canopy cover and area of more than one ha as the forest cover which, apart from the government-owned, private and community forests, also includes commercial plantations, orchids, tea and coffee gardens. Unlike the previous report of 2011, which showed an overall decrease of 367 sq km of the forest cover in the country, this time a phenomenal increase in the forest cover has been registered. 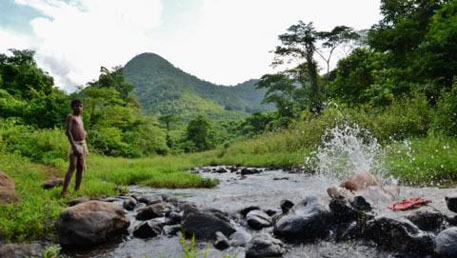 However, of the total increased area, just over 2 per cent falls under the traditional boundaries of forests. 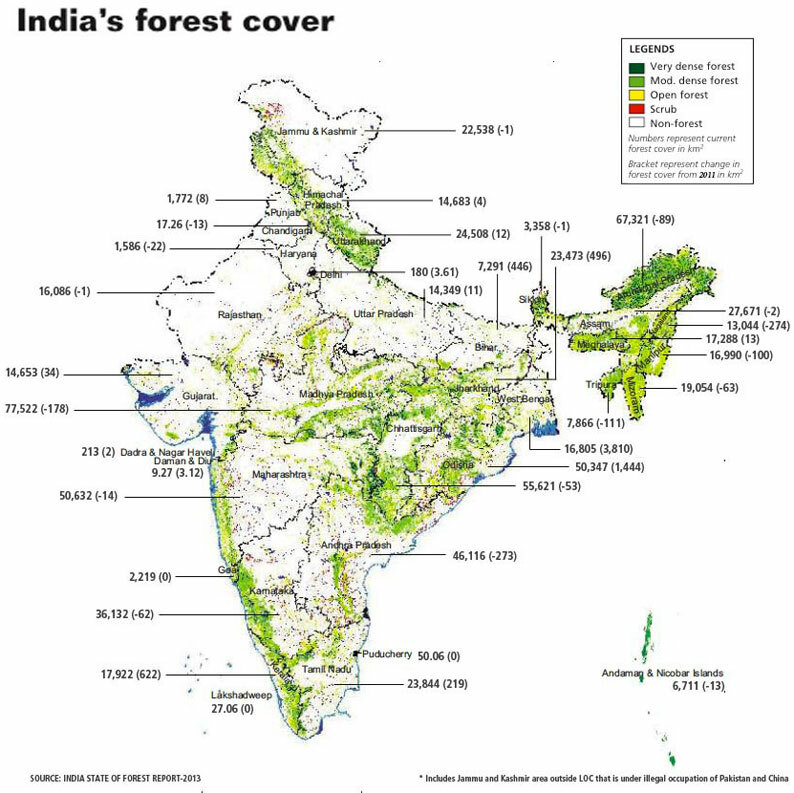 To find out how the forest cover is changing in the government-recorded forest lands and outside such lands, the FSI for the first time overlaid its satellite images of the forest cover with the topo-sheets of the Survey of India. It found that most of the increase in the forest cover has been outside the traditional forest areas marked as the “greenwash” areas in the topo-sheets. Within the greenwash areas, which includes the traditional government-owned, community and private forests, very dense forest (canopy more than 70 per cent) has increased by 64 sq km but the moderately dense forest (canopy cover between 40 and 70 per cent) has decreased by a whopping 1,701 sq km in last two years. The open forests (canopy cover less 40 per cent), however, has increased by 1,769 sq km, indicating that most of the moderately dense forests have been degraded to open forests. Outside the greenwash areas, the very dense forest and moderately dense forests have decreased by 33 and 290 sq km respectively. The open forests on the other hand have increased phenomenally by 6,062 sq km, outside the traditional forests, indicating that the plantations are the biggest factor in the current increase of the “forest cover”. The conversion of moderately dense forests into open forests has resulted in a decrease of 389 million cubic metre of growing stock, most of which has been inside the recorded forests. FSI, for the first time, has also collected the information on various parameters of quality of forests such as intensity of regeneration, damage to crops, presence of weeds and grass, humus, incidents of fire and grazing. It has also come up with the data on contiguity of the forest patches. This, in future, would help the government to monitor the changes in the quality of forests along with their area and density. Commercial harvest of degraded forests on cards? My name is Ashish and I have been born and brought up in DehraDun. We are still far behind our target 33% cover. Scorching heat this summer telling us to accelerate planned implementation to reach target.